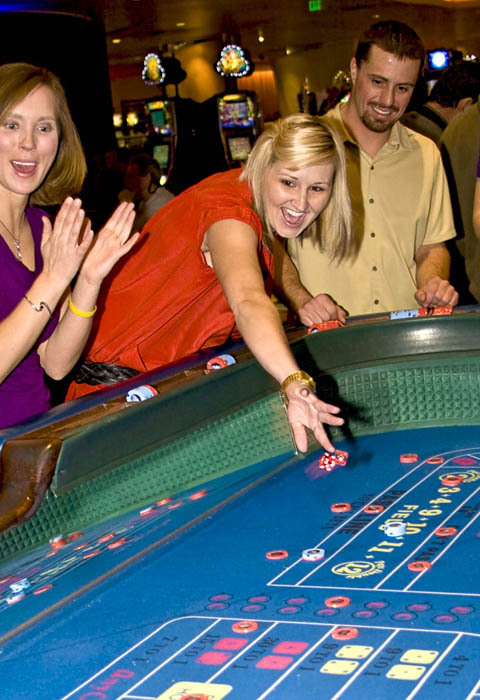 Caption: Scene on gaming floor of casino: excited woman throws dice at craps table. South Lake Tahoe, Nevada, USA. Comments: Scene on gaming floor of casino: excited woman throws dice at craps table. South Lake Tahoe, Nevada, USA.